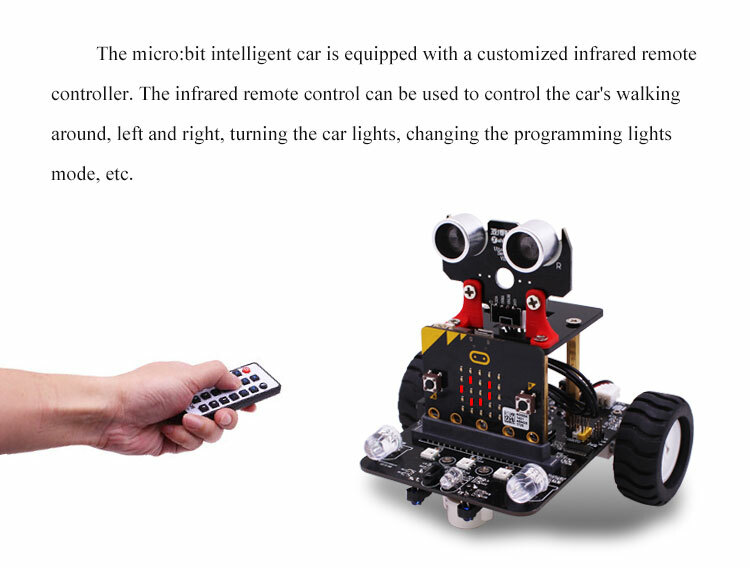 This micro bit smart robot car based on the Micro:bit development board. 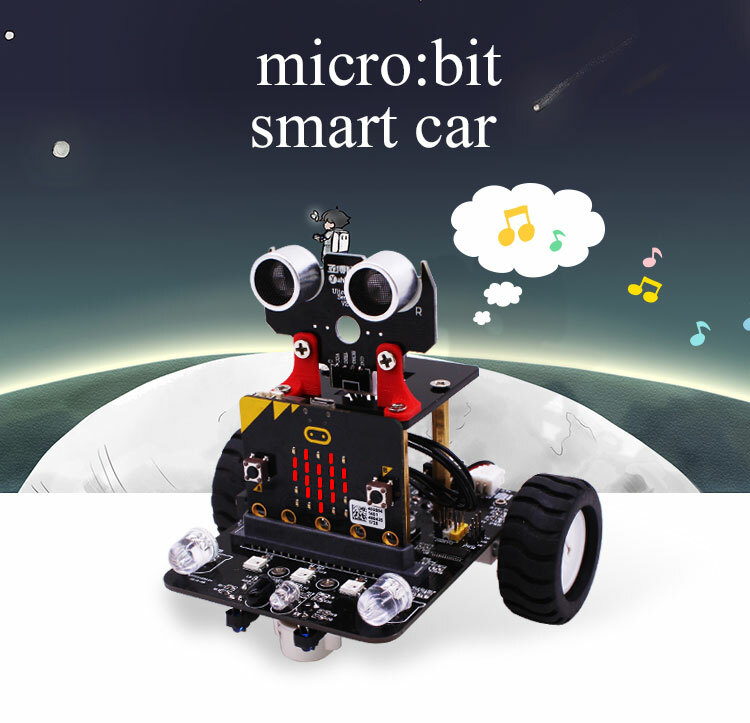 The car fully exploited the compact and aesthetic features of the Micro:bit development board, using a micro:bit dot matrix screen as the main body and using onboard Bluetooth as APP communication. Note! 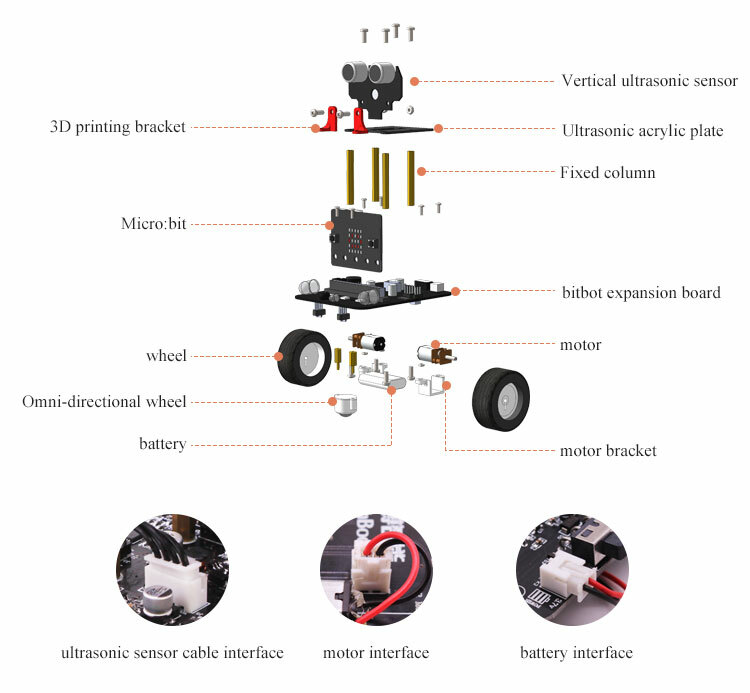 This is a kit, not assembled. 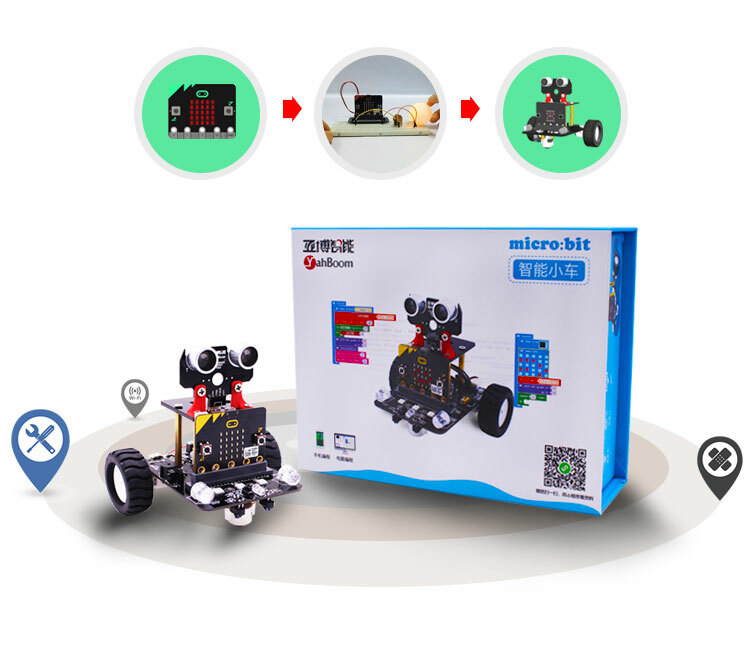 3in1: robot car + starter kit + development board breakout. 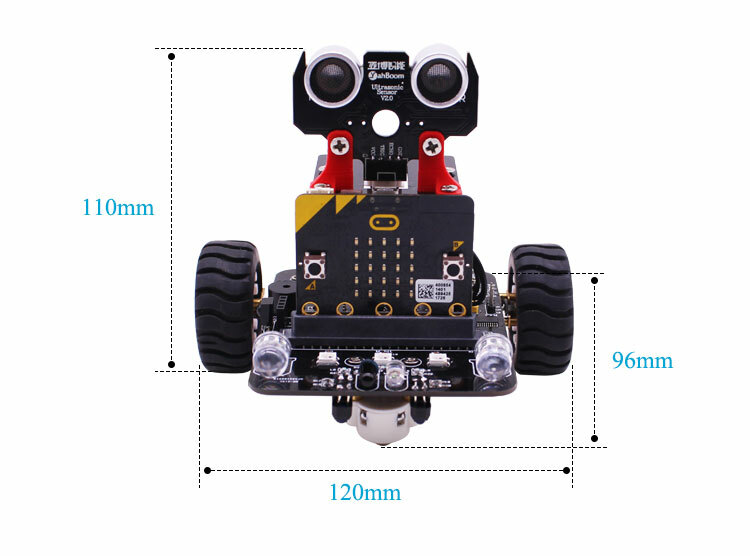 Lead the children to understand and familiarity with the micro:bit development board and complete a few simple development board experiments. Let the micro:bit development board combine with the extended board to complete some more interesting desktop experiments. 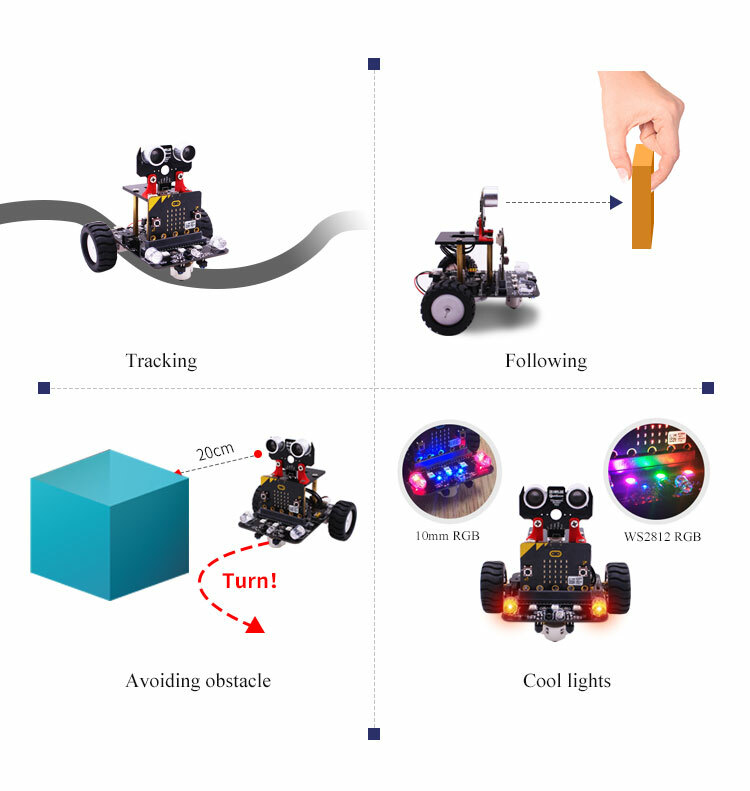 Finally, control car to complete a variety of tricks. 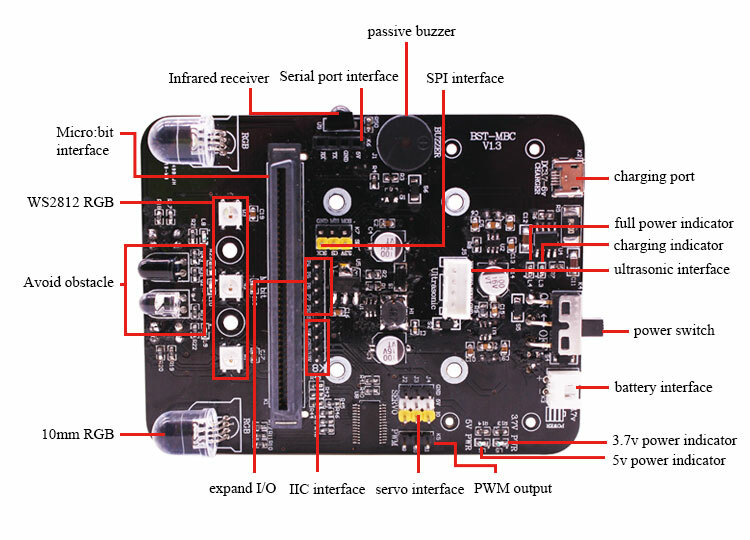 Robot kit equipped with bitbot multi-function expansion board, expansion board with vertical slot structure, since the chassis. 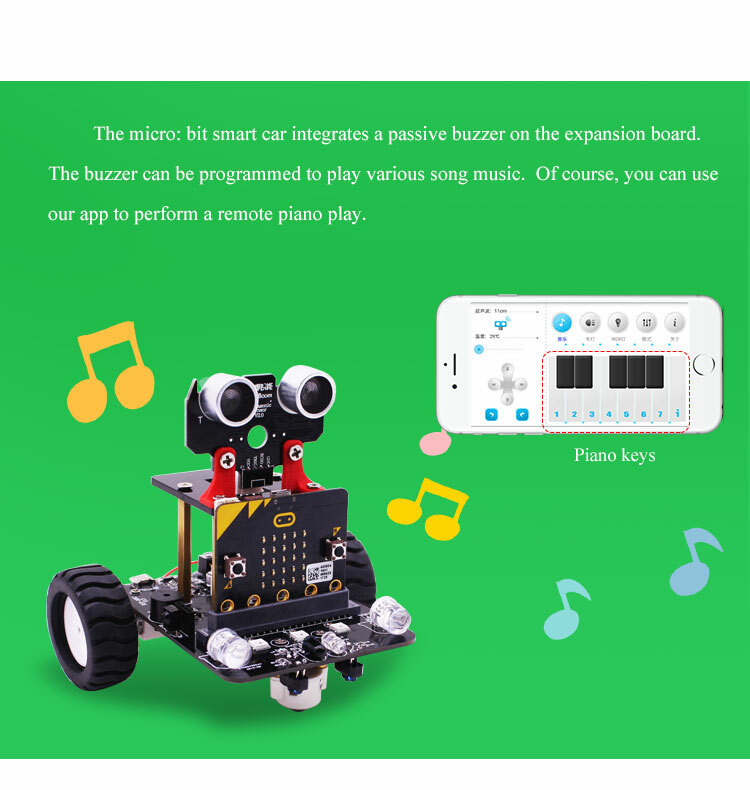 This prototyping board for the micro:bit is a great way to start making circuits and making exper..